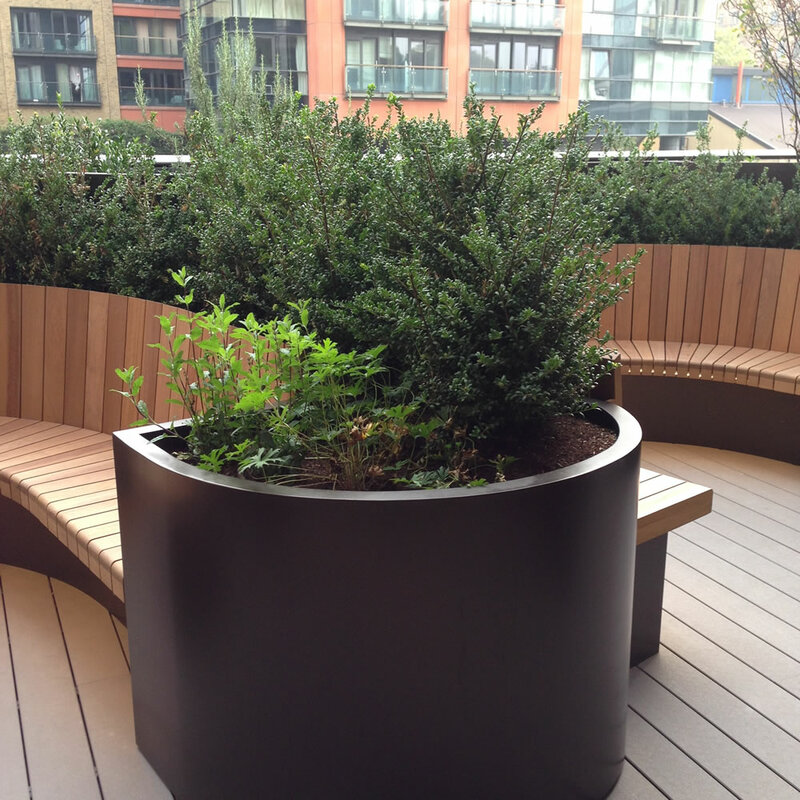 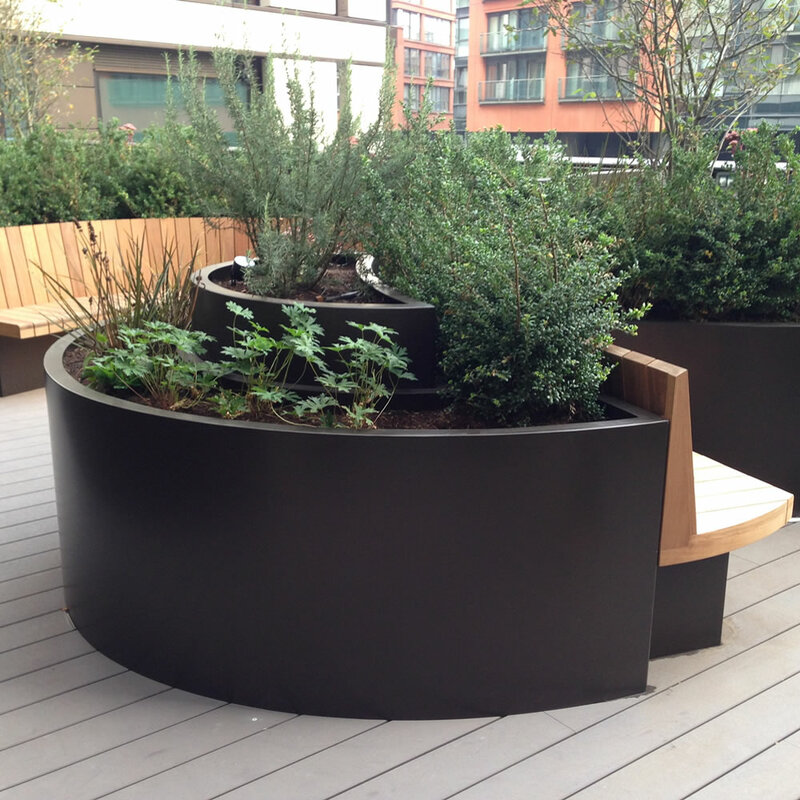 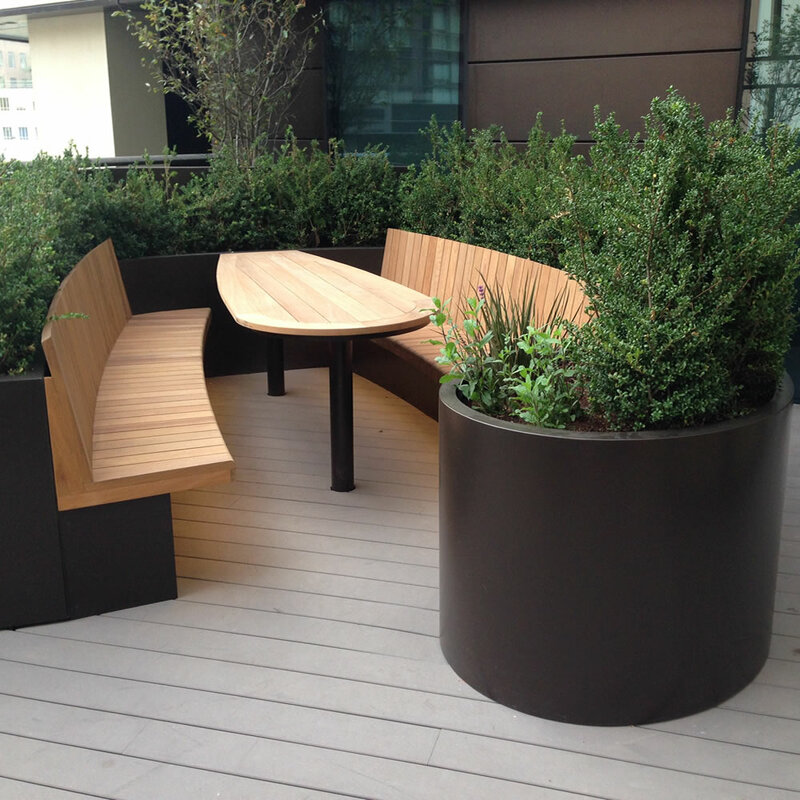 A striking scheme of bespoke curved powder coated steel planters for the prestigious Merchant Square development in Paddington, London. 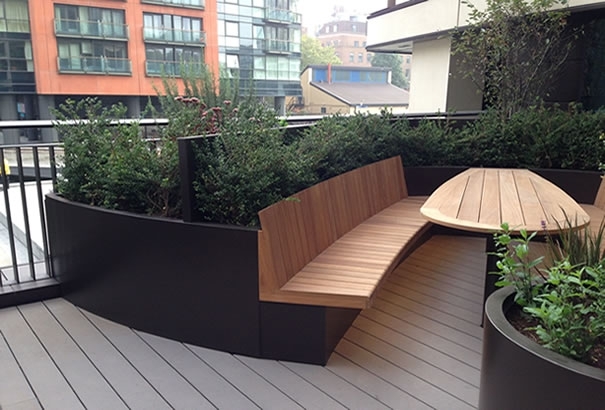 Designed by Andy Sturgeon Garden Design and built by Frosts Landscapes, this fantastically complicated project clearly illustrates our position as market leaders in planter construction. 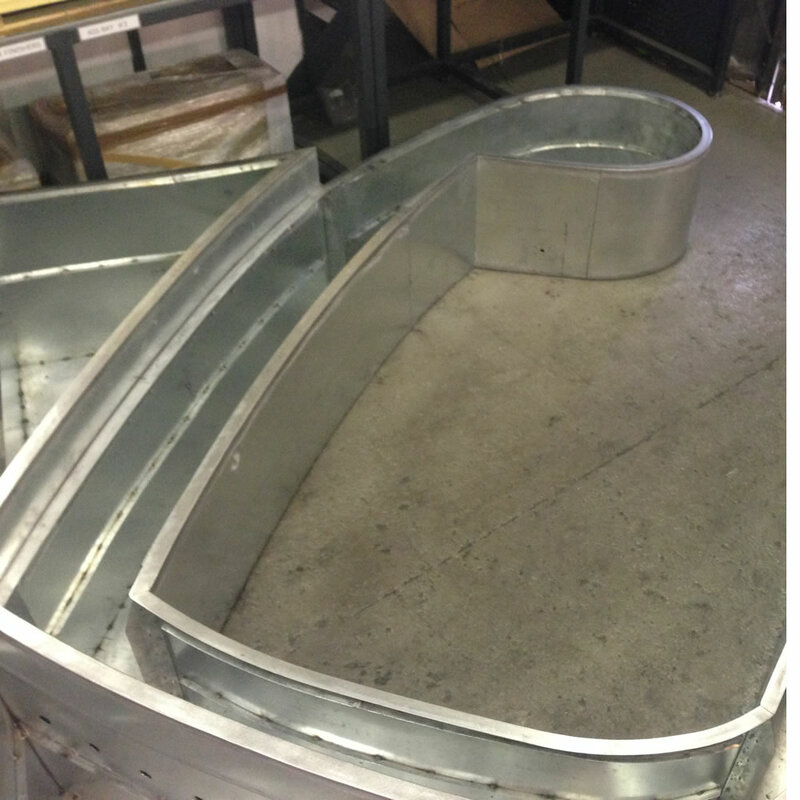 Our initial responsibility was to examine the design brief and to formulate methods of manufacture before formally submitting our design proposal. 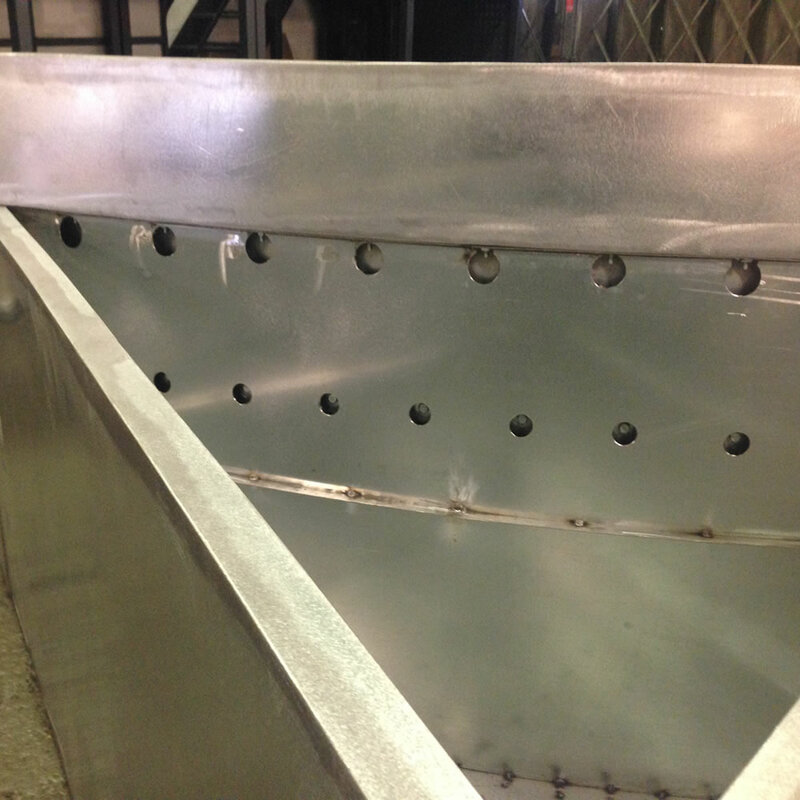 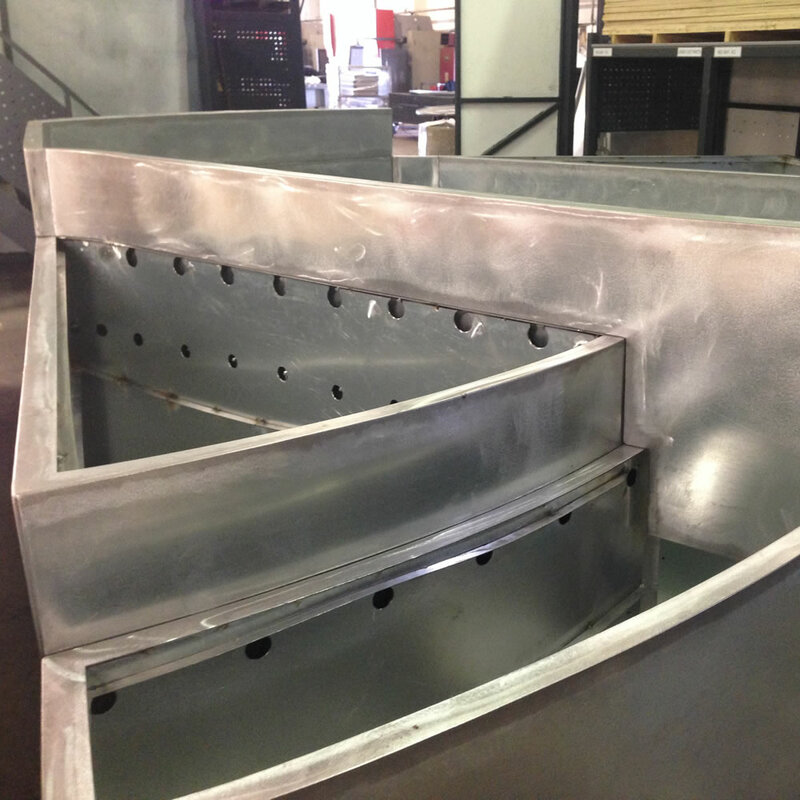 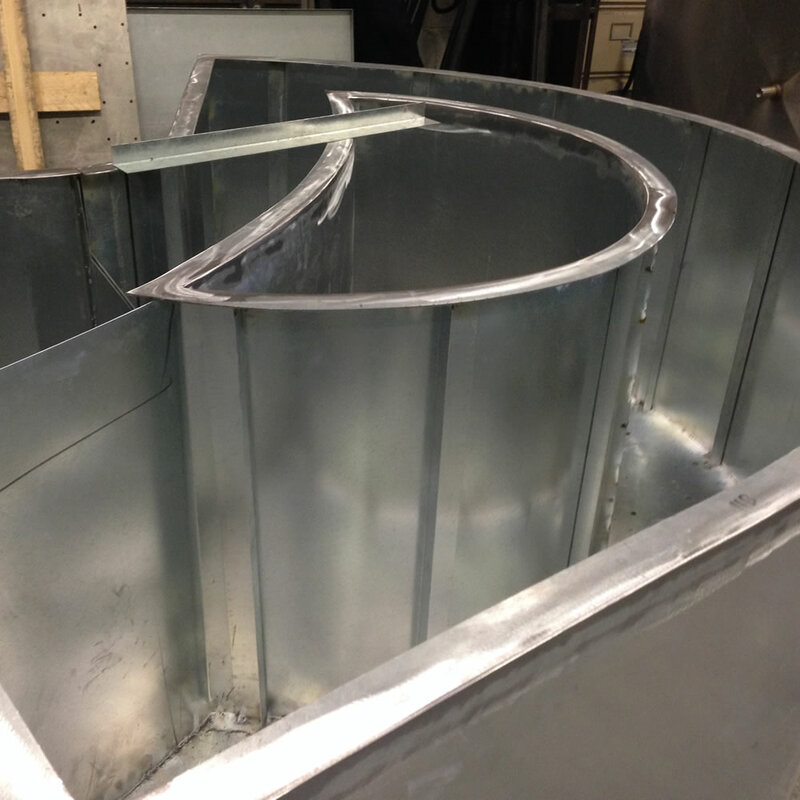 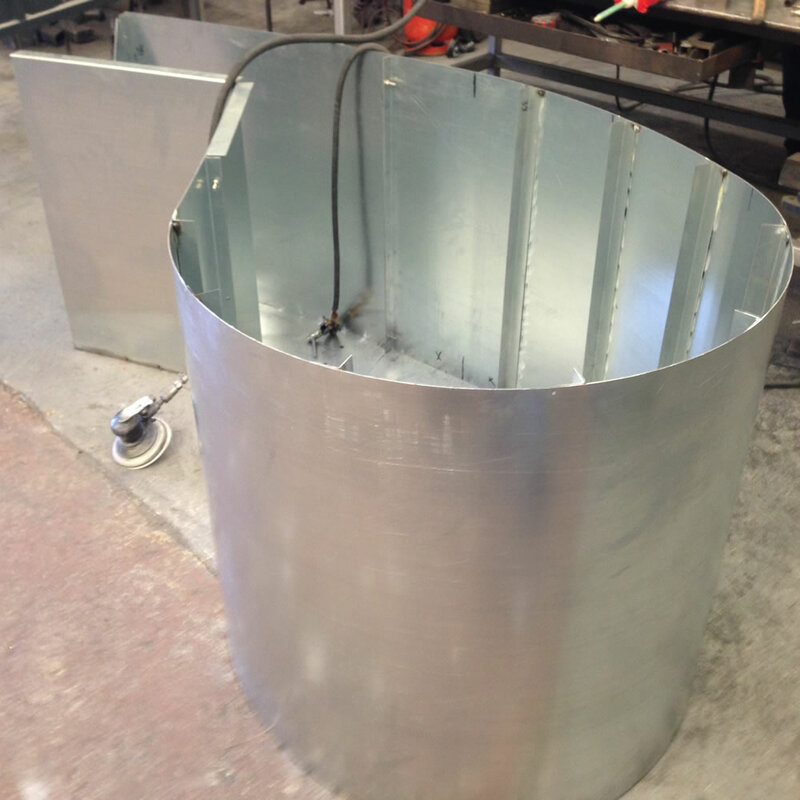 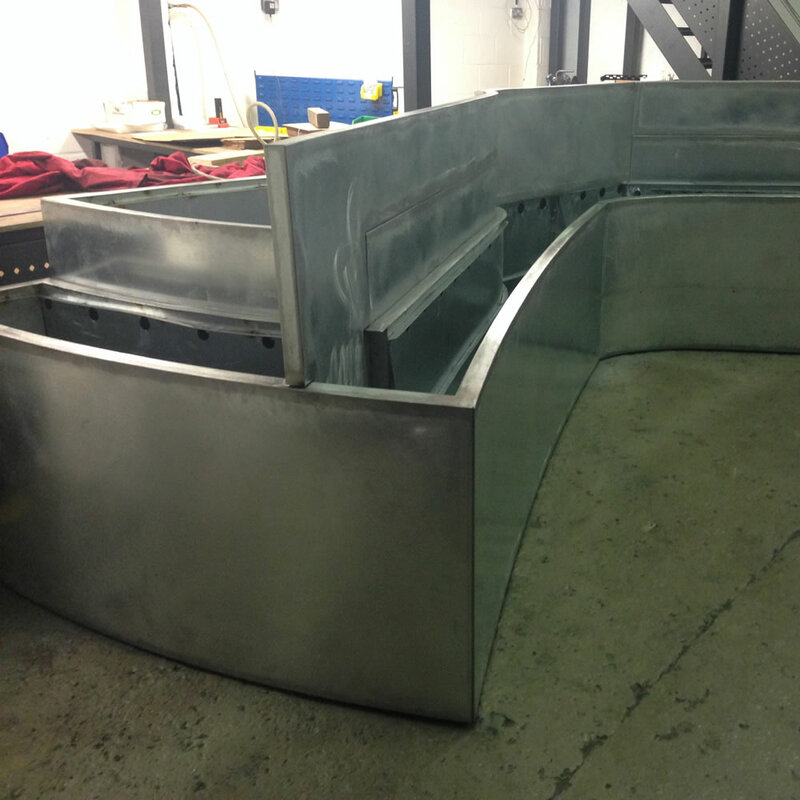 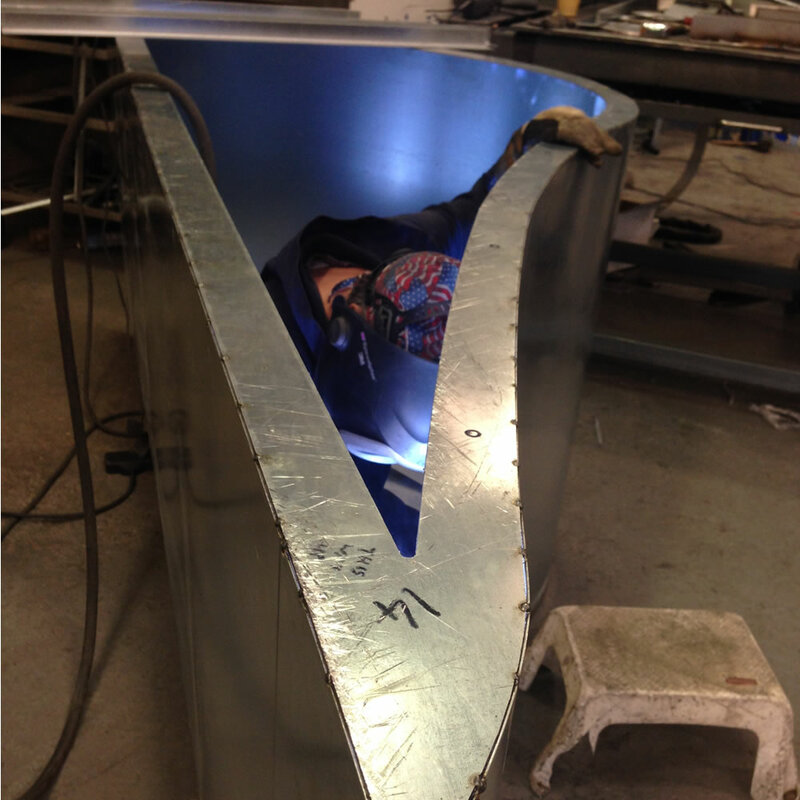 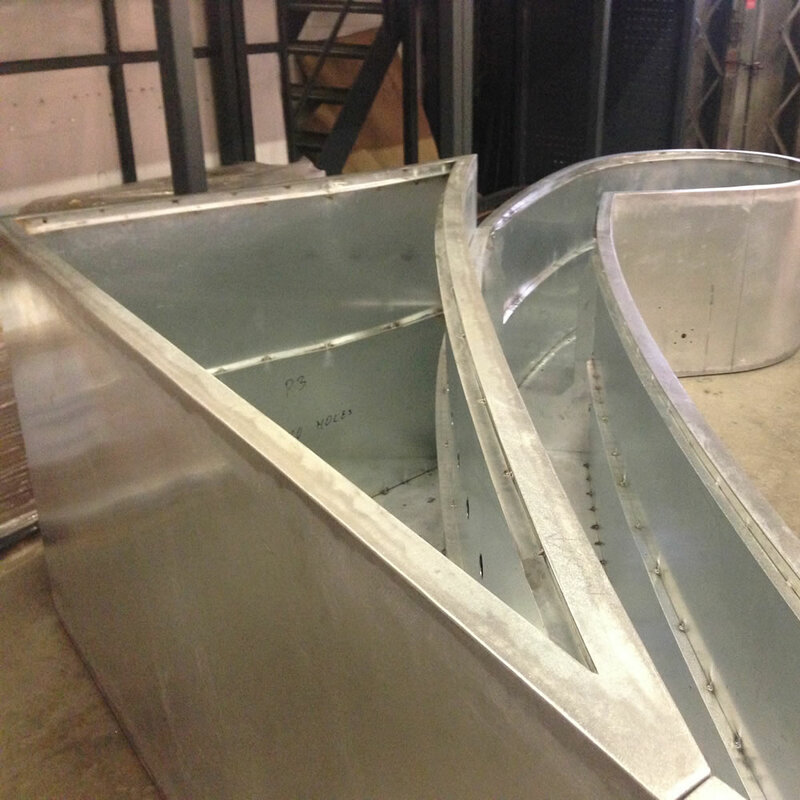 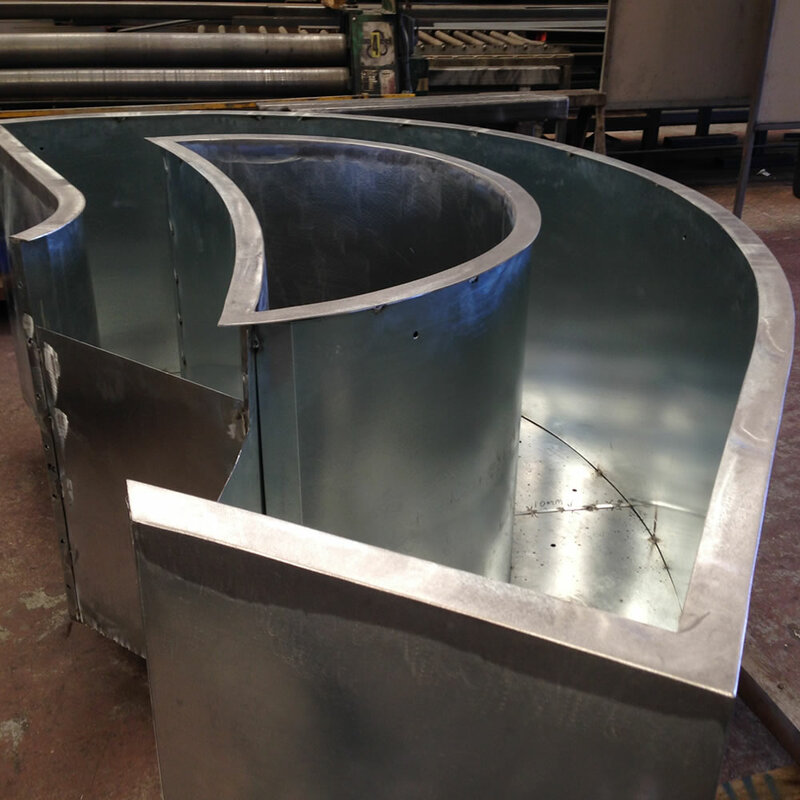 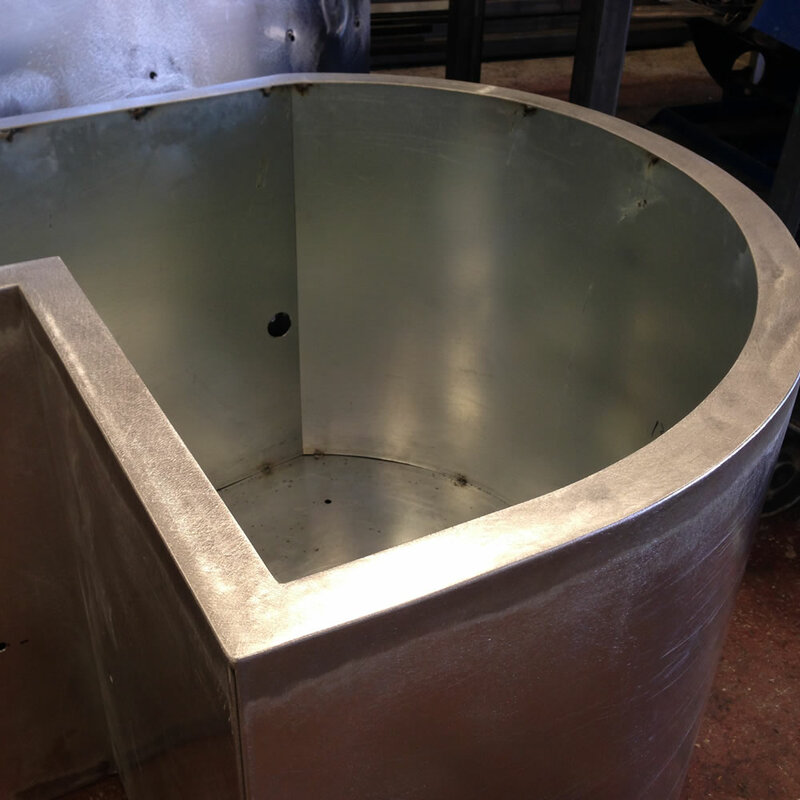 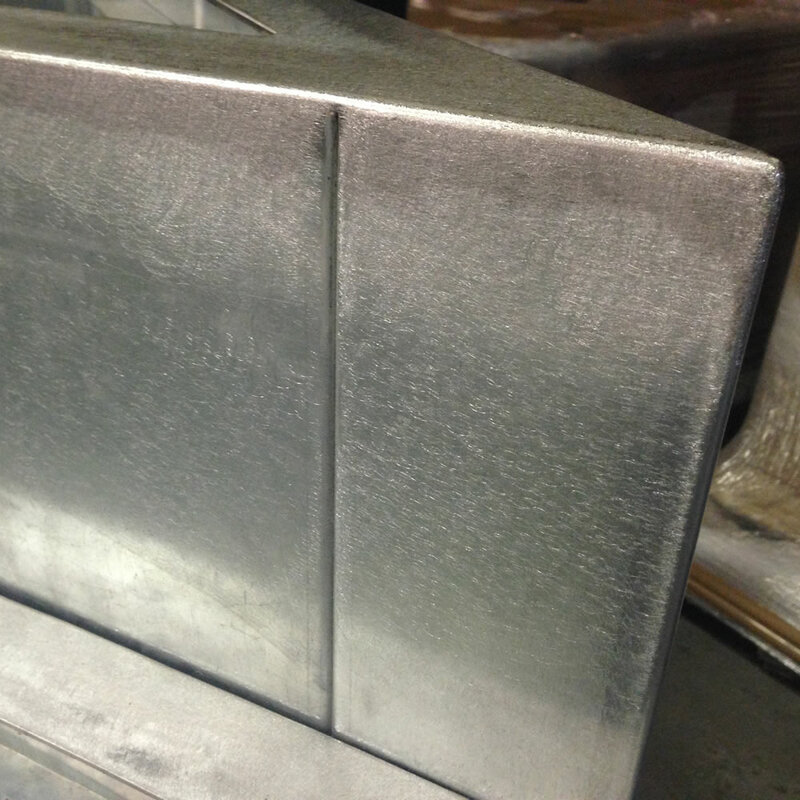 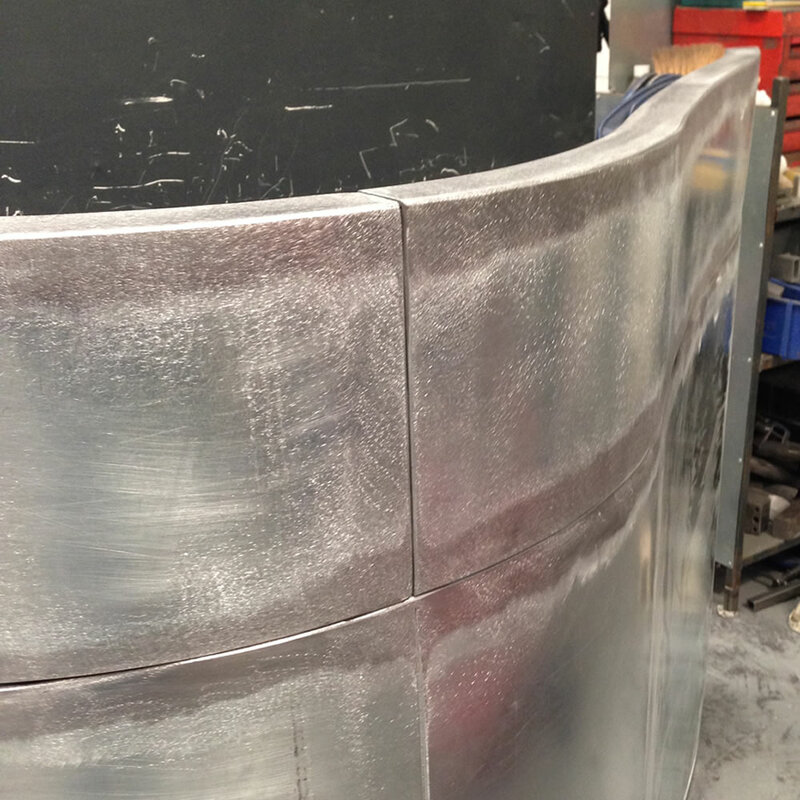 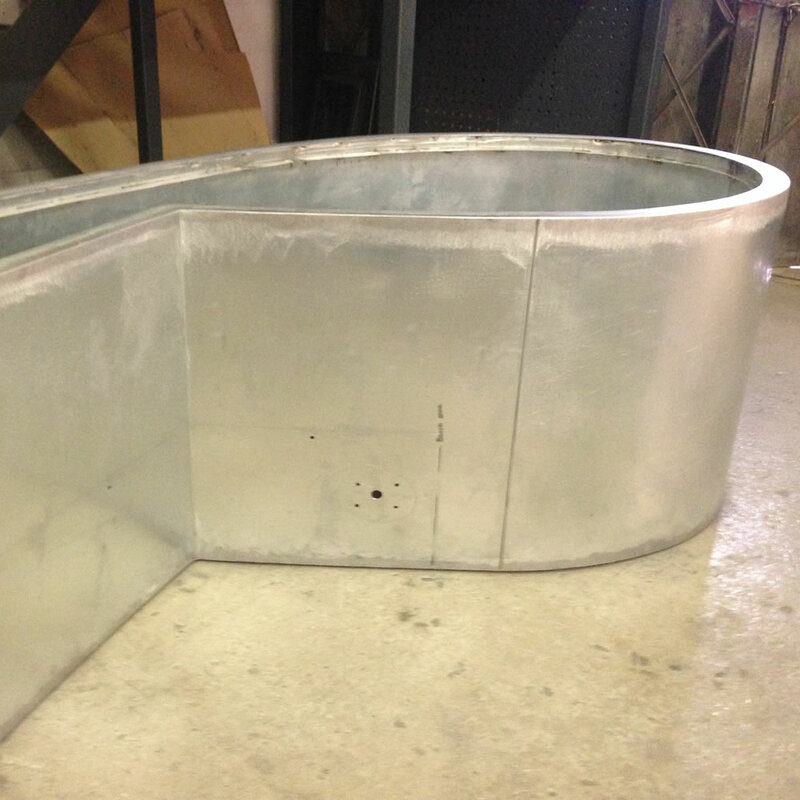 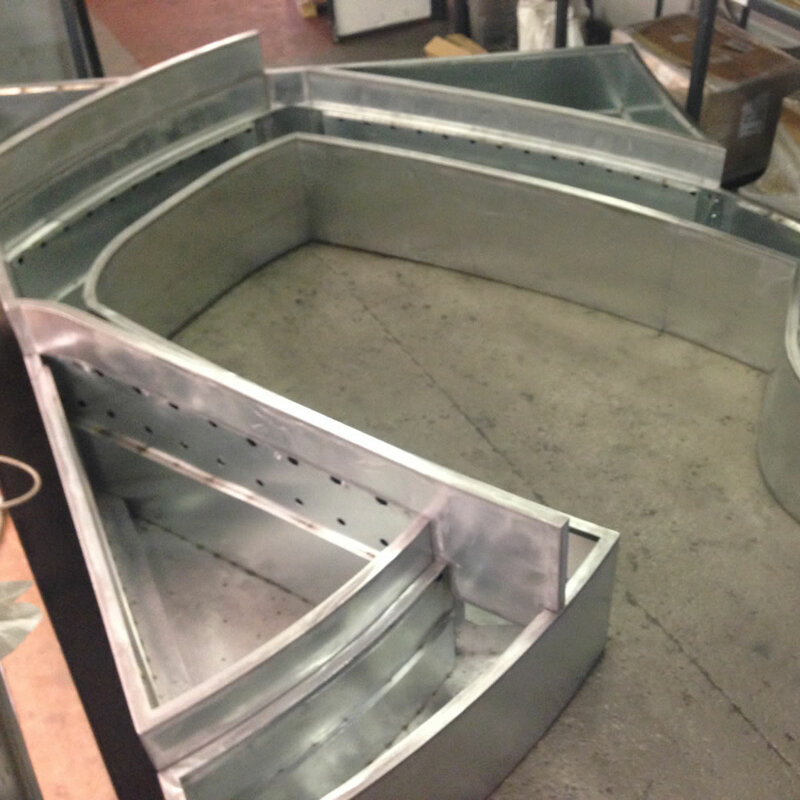 This process was followed by the completion of a sample section for client approval. 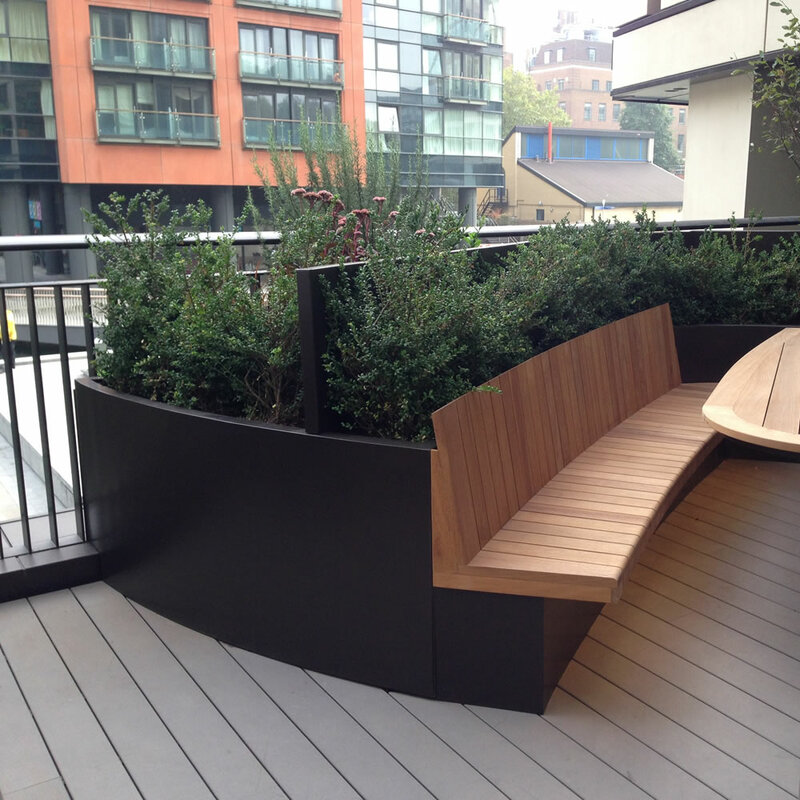 The overall scheme was divided into 34 manageable sections to allow for both manufacturing limitations and ease of installation by crane to the completed roof terrace. 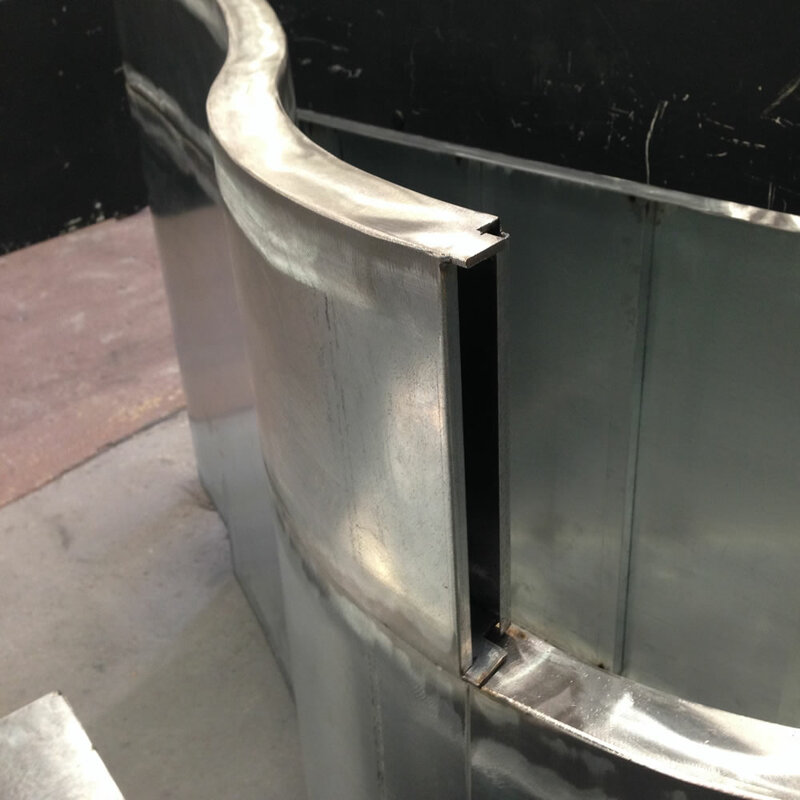 Each section was unique with no common parts featuring complex and progressive curves, bolted together below the planter surface. 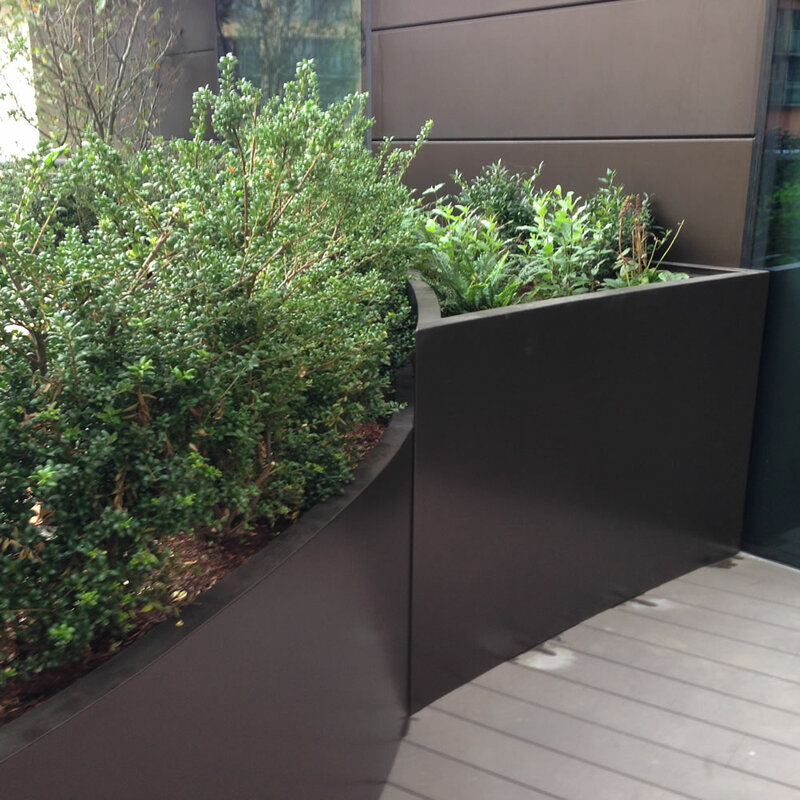 A galvanised liner system ensured there was no contact between the planting material and the face of the planter. 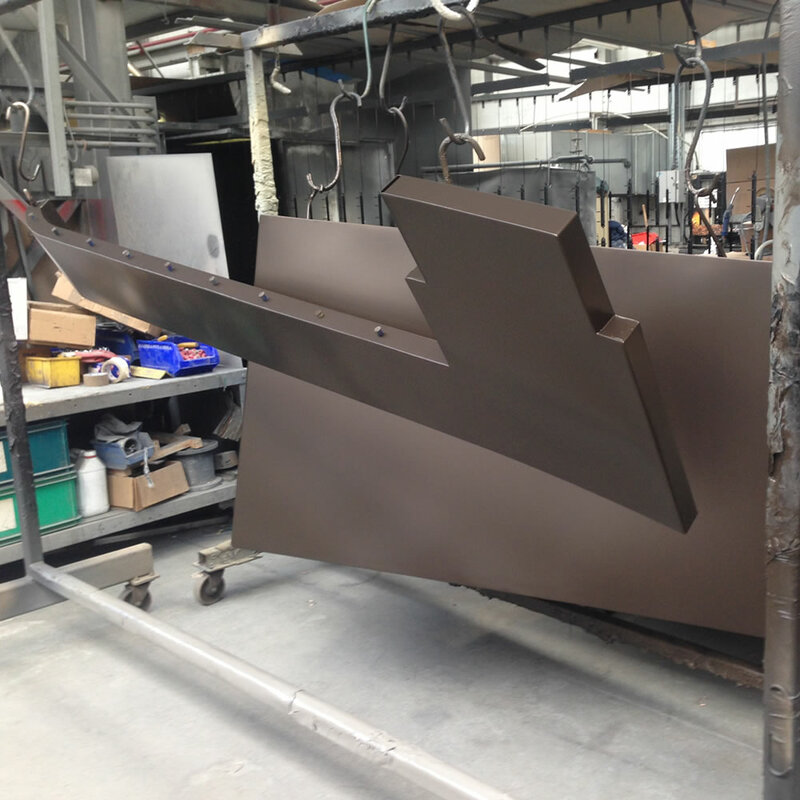 Although the base material was galvanised, because of the degree of polishing it was decided that a zinc primer base layer was applied prior to final powder coating in Tiger Drylac 029/65650 Bronze effect finish. 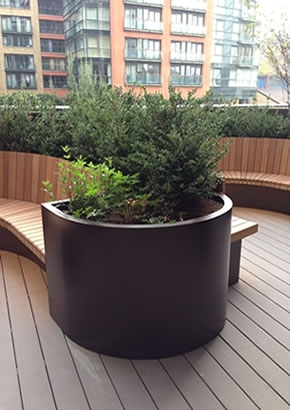 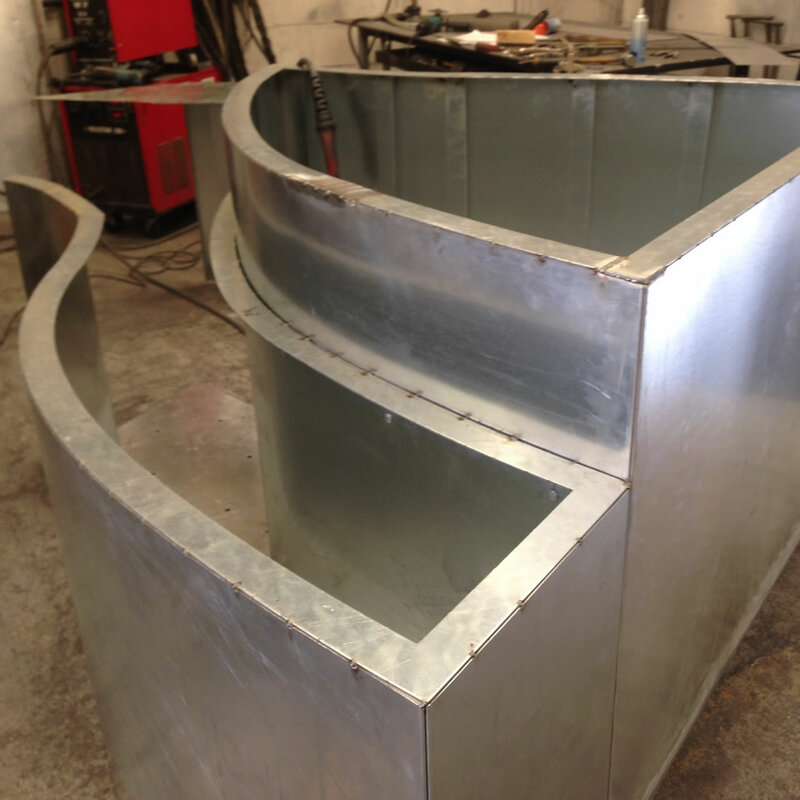 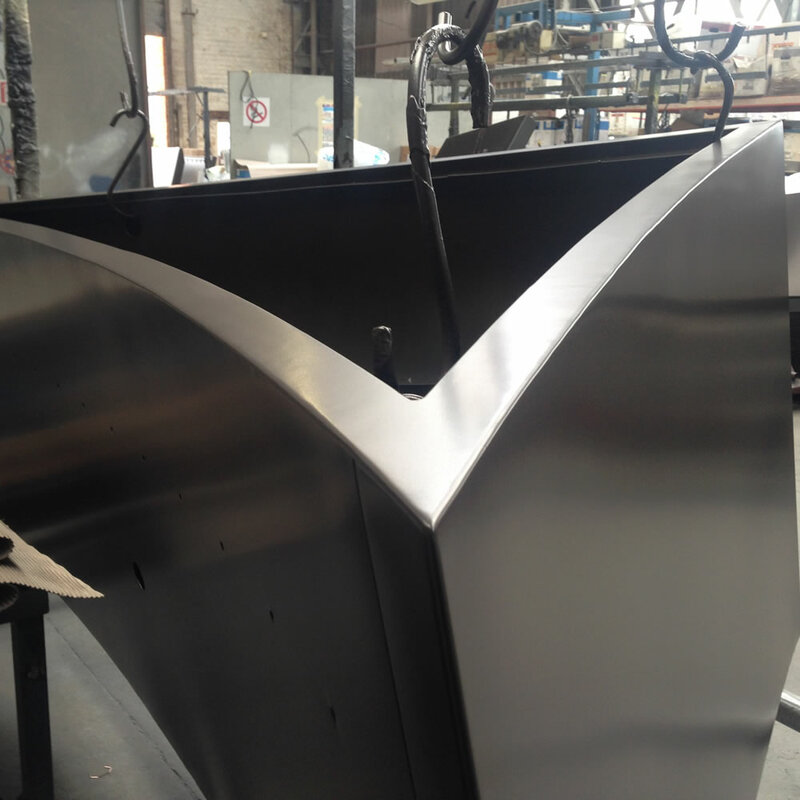 From conception through to completion this scheme has pushed the boundaries for both the design and the manufacture of metal planters cementing our position as the only company capable of achieving this level of quality within budget and on time.